There sure are a lot of utility poles wherever I go! 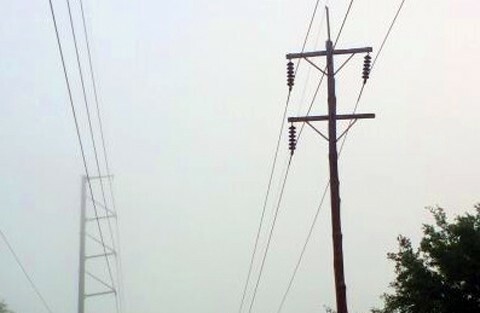 Considered eyesores by some and objects of interest by many others (including myself), power poles dot the landscape in every town, city, and burg in the United States. It’s no wonder I see so many of them – there are an estimated 180 million utility poles around the country! The first utility poles, as we know them today anyway, were erected in the middle 19th century and used to carry telegraph wires. 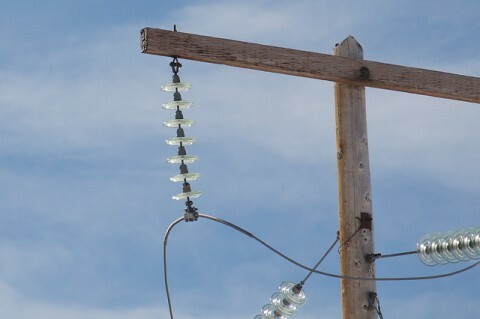 With the rise of electricity usage across the country, utility poles were outfitted with insulators and primarily used to carry power lines. 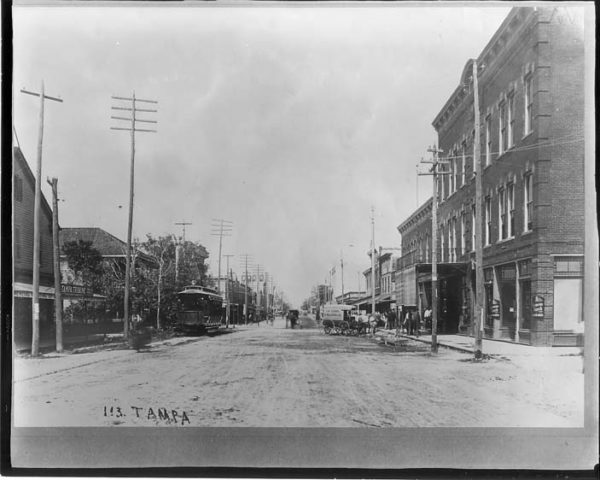 Back around the turn of the 20th century, many of the old wooden power poles were installed with cross arms — sometimes 4, 5, or more to a single utility pole — which carried dozens of wires through cities. Many people think of these types of power poles as “old fashioned,” and you could say they’re right. After all, it’s not very often that powerline workers will install a telephone pole or utility pole with more than 1 or 2 cross arms. In fact, in many parts of the United States where severe weather is more common, some communities are choosing to replace their old wooden utility poles with concrete or metal poles instead. #1 – Utility poles range in height from 30′ to more than 100′ tall. 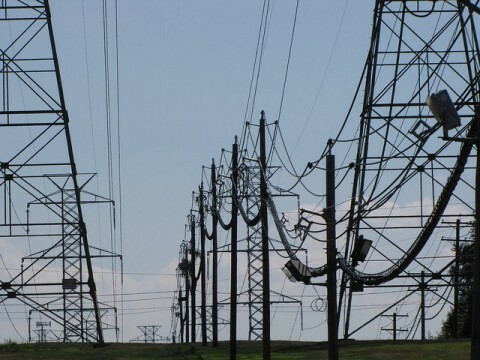 The power poles in your neighborhood range in height from 30 feet to 60 feet tall. Big ones that you may see along major roads and highways measure from 60 feet to more than 120 feet in height. The world’s tallest power line suspension towers, which flank the Yangtze River in Jiangyin, China, are 1,137′ tall! #2 – A utility pole carries more than just electric wires. Okay, so you’ve probably noticed that there are many wires on utility poles. Not all of them carry electricity though. Usually, the top 3 wires — which are called primary conductors — carry most of the electricity on the pole. As you come down the utility pole, the next set of wires consists of secondary conductors — they deliver power to buildings and homes. The lowest wires are cable and telephone lines. #3 – Some utility poles carry wires of more than 100,000 volts. The amount of voltage carried along electricity wires can range from a few thousand volts to over 100,000 volts. 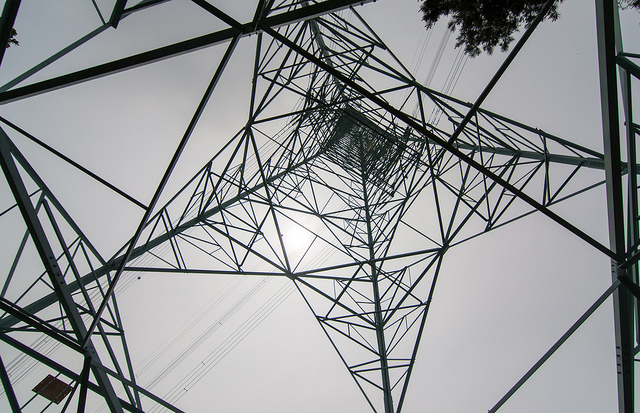 Huge transmission lines, which are usually suspended from metal lattice towers or very tall concrete utility poles (you often see these out in the country), may carry wires with 150,000 to 300,000 volts or more. Lines that connect to your house are usually either 120 or 240 volts. 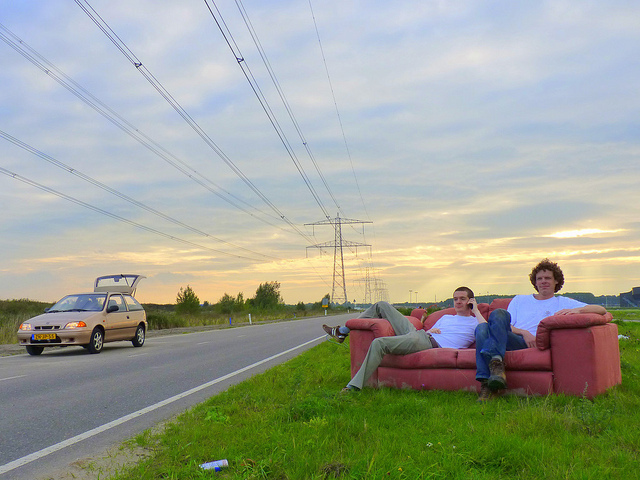 #4 – Transformers help provide just the right amount of power for your home or business. Notice those barrels that look like oil drums or trash cans hanging off utility poles? Those are transformers. They’re used to lower the amount of voltage between the primary wires and secondary lines. Without transformers on an utility pole, there would be lots of fried household appliances! Here’s a great video showing how transformers work. #5 – Many utility poles are several decades old. 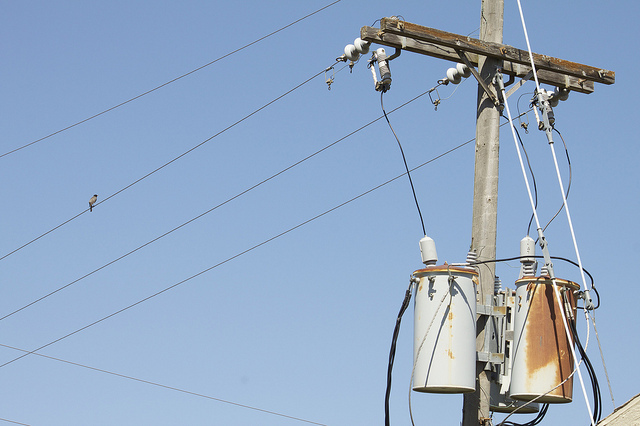 Most utility poles are 50 to 60 years old — with some of them much older than that! Depending on your local climate, wood telephone poles in your area may last from 40 to 60 years. Metal and concrete poles can last much longer, but eventually all utility poles need to be replaced. 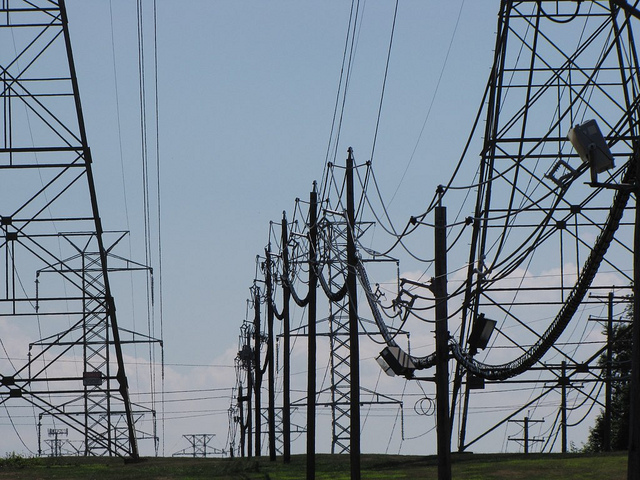 #6 – Insulators protect electricity from draining into utility poles. Ever notice that power lines don’t actually touch the poles? Instead, the electrical lines are attached to things that look like dinner plates or cups. These are called insulators. They help keep electricity from leaking out of the wires and down into the poles. In the old days, glass insulators were common — but today they are mainly made from ceramic or polymer composites. #7 – The most unique power pole is in Florida. Okay, so this is probably a pretty subjective topic. 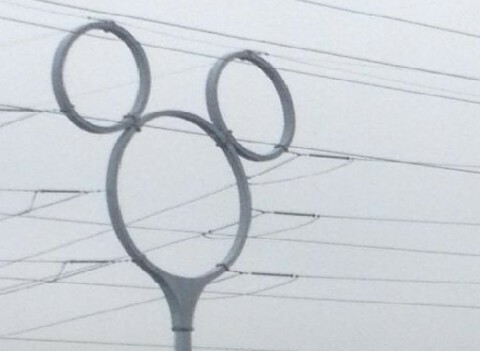 But if I had to nominate a single power pole as being the “most unique,” I know just the one that I would: the Mickey Mouse power pole along Interstate 4 in Kissimmee, Florida. It’s located at the westernmost exit for the Walt Disney World resort near Celebration, Florida. This tower has 3 hoops which form the shape of Mickey Mouse’s famously profiled head and ears — with each hoop suspending wires. Learning To Climb A Utility Pole: It’s Harder Than You Think!